Norway's third largest city is home to more than 179,000 inhabitants. C&IT checks out its meeting and events offer. 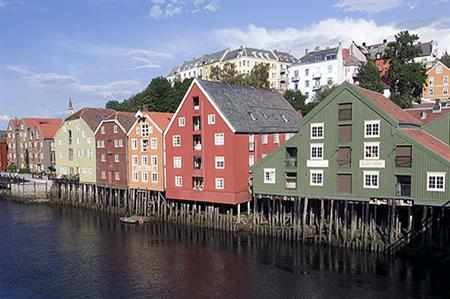 Why Trondheim: The city is steeped in culture and history - it was the first capital of Norway and is a popular pilgrimage site but it also has a modern edge to it, with both Microsoft and Yahoo having located their development departments in the city. C&I facilities: There are 20 hotels offering a total of 2.500 rooms, with hotel conference facilities catering for up to 650 delegates. The city itself is compact, with the longest walking distance between hotels being 10 minutes. Meeting and event spaces: Trondheim Spektrum is central Norway's largest centre for conferences and conventions, with the largest hall catering for up to 3,000 people. For venues with a cultural theme, check out Olavshallen Concert Theatre, for groups of up to 1,250 or The Masonic Lodge, with a concert hall holding up to 600. Unusual dinner options: Dinners and gala events can be hosted at a museum, on a boat, at a farm or in a tent next to a fjord. Incentive itineraries: Take a city walk, follow the Pilgrims' Route or visit the national museum of music and musical instruments.